Tenaga Nasional Berhad (TNB) may have shelved its plan to build a 300 MW coal-fired power plant in Lahad Datu, Sabah, but that does not stop the utility company to keep burning coal elsewhere. TNB's proposal for installation and operations of a 1,320MW plant has been selected by Bangladesh Power Division. TNB beat other proposals from China and Thailand power generation companies. Bangladesh's New Age newspaper reported that the power plant, to be installed at either Anwara in Chittagong or Maheshkhali at Cox's Bazar, would be through a joint-venture company owned by the Power Development Board and TNB. Nothing official yet but it is expected that a delegation from the Power Division will visit Malaysia this month to finalise the memorandum of understanding on the installation and operations of the plant. 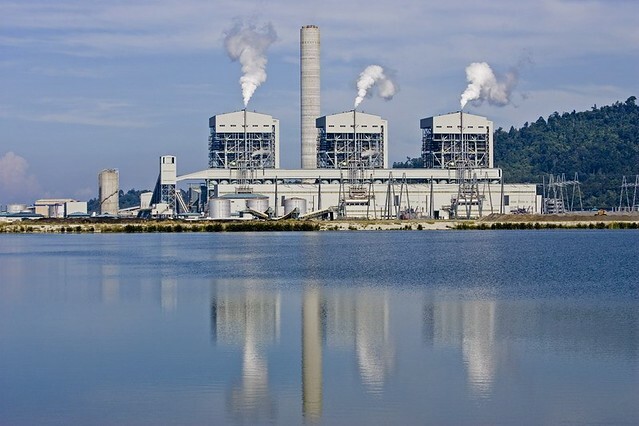 Including this proposal, Bangladesh has so far initiated 3 big coal-fired power projects, each having 1,320MW power generation capacity, in joint venture with equal shares with three state-run agencies. Being the biggest power utility company in Malaysia, TNB certainly has the experience and capability to install and operate similar plants. At present, TNB's combined generation capacity (in Malaysia and Pakistan) is 12,000 MW. Bangladesh has set a long-range target to generate about 20,000MW power from coal-fired plants - 11,250 MW using domestic coal and 8,750 MW fromimported coal - by 2030. Coal advocateurs claim that there is newer technology that make coal 'clean' and thus it should be developed further to become the main fuel. Coal can never be clean from whichever perspective you look at it and a 'dirty' fuel shall remain dirty. Question is how well can you manage the waste and byproducts of burning coal. There is bound to be leaks somewhere. The ill effect of the pollution is not immediate (unlike other chemicals), and thus people's mentality towards coal is different from, say radio-actives and chlorine for instance. Note that India and Bangladesh are still unsettled on the implementation of the latter's proposal for another 1,320MW coal-fired power plant initiated earlier than the one with TNB. Meanwhile TNB's extension of its Manjung coal power plant in Malaysia by additional 1,000 MW is understood to be going ahead as planned. Guess.. for them they want to be recognised some where. From economic point of view, they still need to expand. If not domestically, they'll go global.